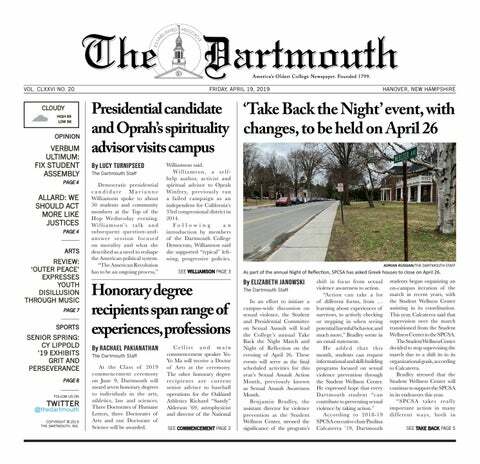 Welcome my final “sports” “column” at The Dartmouth. It’s only fitting that the final edition of “Honorable Mention” comes on the heels of my last Green Key. Something something lemons, something something lemonade. High school athletics, Dartmouth intramural sports and movies have taught me all I know, which is to say I know very little. More importantly, I give you hastily-aggregated post-Green Key lessons and reflections in the form of quotes from the world of athletics, both real and imaginary — call it going out on the shoulders of giants. Is this a cop-out? Most certainly. I’ll admit I didn’t watch “Rocky” until my sophomore fall, but that’s sure better than the fact that I own “Hoosiers” on Blu-ray and have never unwrapped the disc. “Rocky” is timeless, not just for the grit, grind and determination in Stallone’s character but also for the unlimited number of sequels over the years. If 12 hours and 45 minutes of runtime doesn’t guarantee immortality, maybe one more sequel in the form of “Creed II” will. Attempting to quantify the world of sports, where a unique blend of entertainment and moral lessons keeps us coming back for more, is attractive because it’s as close as we feel like we can get to objectively measuring life’s intangibles. Reading “Moneyball” as a class assignment in QSS 30.01, “Sports Analytics” was the first time I recognized a real world application of what I learned in school. In Timothy Greenfield-Sanders’ “The Boomer List,” Lott — who was named to 10 Pro Bowls, won four Super Bowls and was elected to the Pro Football Hall of Fame in 2000 — summarizes the lessons learned growing up in a defining time in American history. He also decided to amputate the tip of his finger in 1985 in order to get back on the football field faster. If that’s not the stuff legends are made of, I don’t know what is. Yes, J.J. Watt might try a little too hard to be a real-life superhero — there are several quotes from the defensive end that sound more like action movie soundbites than words humans would say — but that’s not to say that he doesn’t mean well. His charity work, especially after Hurricane Harvey devastated Texas last year, speaks for itself. Besides, you don’t win three Defensive Player of the Year awards by sleeping in. Cavs over Warriors in seven.